Tuesday, April 21 1908 -- In addition to the amateur boxing being staged for the sailors, there is also a professional card at the Pacific Athletic Club tonight. Battling Johnson and Fireman Jim Flynn meet in the highlight bout, with Flynn edging Johnson on points after a hard-fought eight-rounder. Wingate Chase Craig was born in Ennis, Texas on August 28, 1910. His birthplace was determined by examining census records; his birth date was in the Social Security Death Index; and his first name was recorded in the 1920 U.S. Federal Census and Social Security Death Index. In the 1920 census, Craig was the only child of Everett, a hardware merchant, and Mildred. They resided in Ennis at 408 Preston. It’s unclear what happened to their first son, Everett Jr., who was recorded in the 1910 census. Craig’s cartooning career began at the age of 14 when the Dallas Morning News published his comic strips in the “Little Knights and Ladies Club” page. Craig attended the University of Texas in Austin. 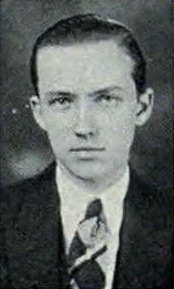 In the school’s yearbook, The Cactus 1930, he was a member of the Delta Sigma Chi fraternity, and he contributed cartoons to the campus publication, Longhorn-Ranger Magazine. The Craig family remained at the same address in the 1930 census. GenealogyBuff.com posted Craig’s obituary from a Ventura County, California newspaper whose name and date were not included. It said he studied at the Chicago Academy of Fine Art from 1933 to 1934. Accepting a position with the Christian Science Monitor in Boston, he produced Little Chauncey for the newspaper. He moved to Hollywood in 1935; later that year his mother passed away, according to the Dallas Morning News, August 4. Craig found work in animation first for Walter Lantz and then Tex Avery. His obituary said he “…drew a short-lived comic strip, ‘Hollywood Hams,’ for the Los Angeles Daily News. His talent was quickly recognized and he was hired to take over the Charlie McCarthy newspaper strip [Moritmer and Charlie], based on Edgar Bergen’s popular character.” In American Newspaper Comics (2012), Alberto Becattini said Craig worked on the daily Moritmer and Charlie from October 2, 1939 to May 25, 1940, and Sunday version from October 29, 1939 to February 25, 1940. And he did freelance comic book work for the Western Publishing Company. Collaborating with Fred Fox, they produced Odd Bodkins from June 16, 1941 to June 20, 1942. Craig has not yet been found in the 1940 census. A military record at Ancestry.com said he served in the navy from September 1, 1942 to September 27, 1945. His obituary said he illustrated training manuals “at the Vine Street Pier in Hollywood.” In 1943 Craig married Mary Jane Green. After his honorable discharge from the Navy, Craig did freelance writing for Western. In 1950, he was employed by Western as an editor, and moved up to managing editor and then executive editor. At the 1982 San Diego Comic-Con, Craig received the Inkpot Award for outstanding achievements in comic art. An overview of his career is here. A list of his comic book work is here. Sample pages of one of his scripts, illustrated with roughs and printed pages, begins here. Craig passed away December 2, 2001, at the Los Robles Hospital and Medical Center in Thousand Oaks, California. Frederick Louis “Fred” Fox was born in New York, New York, on August 26, 1902, according to the passenger list at Ancestry.com. In the 1910 U.S. Federal Census, he was the second of three children born to Louis (German descent) and Isabella (Irish descent). His father was an engineer for a construction company. They lived in the Bronx, New York at 156 Union Place. ...During most of those years “Ella Cinders” was drawn by Charlie Plumb, the original artist who brought Conselman’s characters to vivid pictorial life. But the unsung hero of the strip was Fred Fox, whose Herculean labors as both writer and artist have been largely overlooked by comics historians. And, of course, there was Roger Armstrong, the third major artist in Ella’s life…. ...Fred Fox entered Ella’s life almost at the beginning. Bank teller Fox had been doing cartoons for the bank’s newsletter publication. Introducing himself to Charlie Plumb, it wasn’t long before he was taken on as Plumb’s assistant. Bill Conselman soon discovered that Fred Fox was a man of many talents, and he turned the scripting of the strip over to him in order to devote full time to screen-writing. This happy arrangement continued until Charlie Plumb decided to retire in 1951, leaving Fred Fox with the job of drawing, as well as writing, the strip. The double duties made taxing demands on his time, so Roger Armstrong was hired to draw Ella while Fox concentrated on the continuity. When Fox decided to retire, Bill Conselman, Jr. took up where his father had left off years before…. In 1929 Fox was the third artist to work on Good Time Guy. The Fox family remained in Pasadena but at 160 State Street, according to the 1930 census. Fox was a syndicated cartoonist, and his father was a stationary engineer in the motion picture industry. In the 1940 census, Fox was married to Muriel and lived in Pasadena at 1180 North Arroyo, the same address in 1935. Fox continued as a syndicated cartoonist. In The Comics, Coulton Waugh wrote: “…Bill Conselman lived in Hollywood and did his writing from there. When Conselman died [May 25, 1940], Fred Fox, assistant to both the artist and the author, was given the chance to write it [Ella Cinders]. After three years he convinced the Syndicate that he could handle the job, was given by-line….” Soon, he was ghostwriting Freckles and His Friends. With artist Chase Craig, they created Odd Bodkins in 1941. Fox also worked as a writer in radio, film and television; his filmed credits are here. Pasadena, Calif.—Artist-writer Fred Fox, who brought life to the comic strip “Freckles and His Friends” and wrote lines for such entertainers as wise-cracking Groucho Marx, has died at the age of 78. Fox’s death of complications of cancer last Thursday [August 27] in Pasadena was disclosed during the weekend. For more than 30 years two generations of comic strip fans read “Freckles,” the prototypical American teen-ager who lived in “Shadyside,” a small American town content with good clean fun. The strip once was syndicated in more than 700 newspapers and ceased publication about 10 years ago. Fox’s name never appeared on it but he was acknowledged as its ghostwriter. Fox worked in radio for Marx and Judy Canova until live radio’s prime-time demise, then moved to television. He remained active in motion pictures and television writing until his illness. The 1941 comic strip Odd Bodkins was a case of a cute idea that suffered from bad handling. It's unfortunate because the creators were both quite talented, and should have done better. Here's the plot in a nutshell -- young country bumpkin Odd Bodkins finds a sword stuck in a stone. He assumes that if he can do the King Arthur routine that he's a very special young man indeed. Well, he succeeds in pulling the sword from the stone. As it turns out, the stone was recently poured concrete, and the sword was stuck in it while still in the scabbard. Hence, a baby could have pulled it out. But Odd doesn't know that. Odd things immediately start happening around Odd, events which people around him misconstrue as being evidence of Odd being super-strong. Odd, having just pulled a sword from a stone, and being as impenetrably thick-headed as Li'l Abner, immediately believes the same thing and starts taking crazy risks with his imaginary 'powers'. Luckily for him the deus ex machinae are coming fast and furious, and every time he sticks his neck out, circumstances favor him and his legend just keeps on spreading. The idea certainly has merit, although one wonders how long before it might become stale. But writer Fred Fox, whose only credit up to this point was as the replacement creator on Good Time Guy a decade before, didn't have to worry about reader boredom setting in, because right from the start he had trouble writing a good comic strip continuity. The storyline takes wild leaps and bounds, making you wonder from strip to strip if you missed some episodes. It also doesn't help that Odd is so dumb he's more annoying than endearing, or that the ersatz super power exhibitions are more ridiculous than clever or cute. Frankly, the quality of the writing on this strip makes me wonder about Fox's assistant/ghost-writing credit on Ella Cinders in the 1930s. If he did, it seems to me he probably got a lot of help from Bill Conselman. Apparently, though, Fox found his voice, because later he definitely wrote not only Ella Cinders but also other strips. For more on Fox, see Alex Jay's Ink-Slinger Profile tomorrow. Chase Craig, who would soon be well-respected for drawing comic strip and comic book versions of animation properties, on the other hand, did a creditable job on the art. The strip was offered by Esquire Features, a tiny newspaper syndication venture run by the magazine of the same name. Manager Irving Philips evidently saw something in the Odd Bodkins submission that he liked, and he managed to talk some pretty big papers into running it (Washington Post, for example). However, Esquire evidently didn't feel too attached to the strip. The strip debuted on June 16 1941, and was sold off to the Chicago Sun when that newspaper debuted in December. The Sun tried to syndicate the strip themselves and were met with no interest at all. The feature was cancelled just six months later, at the end of the one-year contract, on June 20 1942. A couple footnotes; first, somewhere I saw an indication that the Chicago Sun ran a Sunday version of the strip. However, I have been through the microfilm and see no evidence of it. 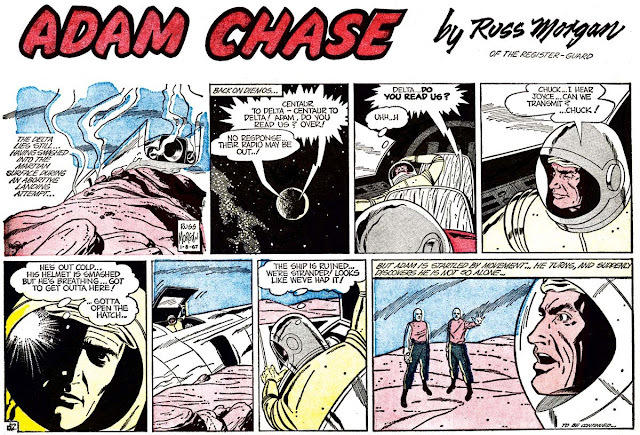 Second, there seems to be some confusion over which of the creators did the art and writing on this strip. To me the art looks like that of Craig, with no particular Fox influence. Therefore I assume Fox (who was also a capable cartoonist) did the writing. Anyone disagree? 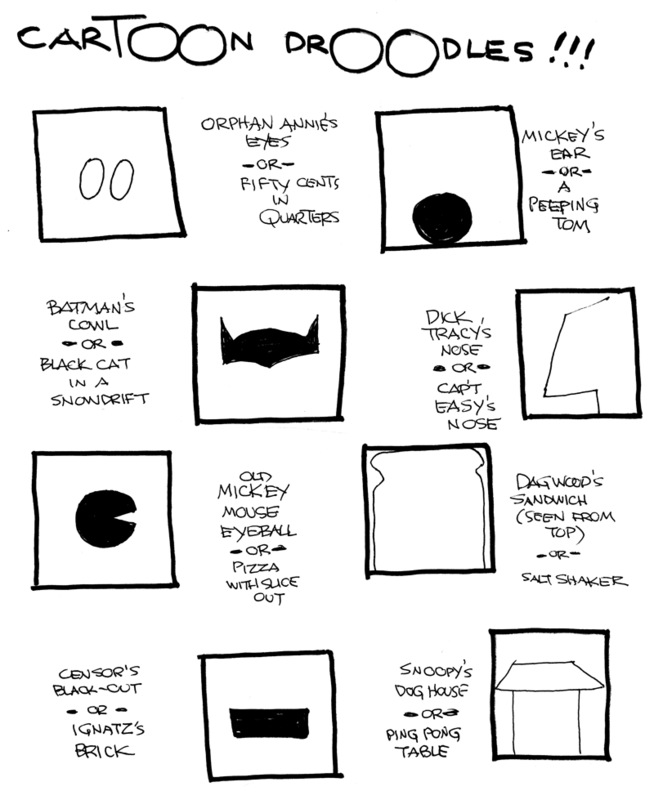 Notice only art credit for Odd Bodkins while the others include writing duties along with the art. In the 1973 print edition of Bails' Who's Who there is an asterisk in front of Craig's name meaning "that the biographee submitted his own career resume." That gives credence to your conclusions. Allan's note: This utterly ridiculous, yet very amusing, character sketch of the famed cartoonist Homer Davenport, is based on an interpretation of the bumps and dimensions of his head (the guiding tenet of the 'science' of phrenology). Of course the writer of this examination is acquainted with Davenport, who he examined during a speaking engagement at the American Institute of Phrenology. However, one cannot doubt that the writer's conclusions are based solely on noggin dimensions, and were not influenced in the least by listening to the fellow talk about himself at length. Heavens no. Few men in his line of work have awakened more universal interest in themselves and their art than the subject of this sketch. He has touched public life at so many points that his work has been watched by all classes of the community, and in political life both of the leading parties have stood under the fire of his magic touch. The work of the cartoonist at every crisis is an important one: by the stroke of his pen, by his comprehension of any situation, and by his ready wit, he can give color to events, and change the atmosphere of affairs considerably. 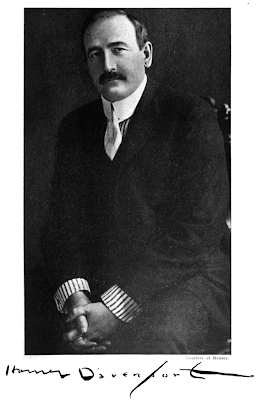 This was largely the cause of the popularity of Thomas A. Nast, and it is also the case with Homer Davenport. He has devoted himself to the vital welfare of humanity. We might even say, in certain respects Society is his debtor. There are times when the humorist does more to change the pulse of a patient than even the medicine given by some doctors, for it is often good cheer that is necessary to start the circulation; sometimes a sparkle of wit at the outset of a lecture will put an audience in good humor for the whole evening, and very often a fine cartoon on the front page of a daily paper will do more to educate the public than a solid, serious editorial on the inside page. Considering the varied kinds of ability found in the world, one can readily see that when parents are awakened to the true value of the minds of their children, they will be ready to develop them properly from an economic stand­ point if for no other reason. By seeing talent inherited they will also be anxious to encourage in themselves what they wish to see reproduced in their children. Phrenology will then be studied in its proper light; in fact, a great future lies before it. In the case of Mr. Homer Davenport, his mother wished to bring into the world a fine cartoonist and a lover of animals, and she therefore prepared herself in every possible way to rightly impress her unborn child. She unfor­tunately died when Homer was a little boy, but had the satisfaction to feel that some day he would be a fine cartoonist, for he early developed the desire to sketch and paint animals, very often spending thirteen hours a day on the white painted wooden floor, sketch­ing outlines which (when the little hand held firm and steady) she believed would tell their story in no un­certain way. his brain circumference is twenty-three and a quarter by fourteen and a quar­ter inches in height and length, while his caliper measurements of width and length of head are five and seven­ eighth and seven and one half inches respectively. These measurements present to us a man of unusual power of physique and mental expertness; therefore he is able to manufacture thought very rapidly, and show availability of talent, without apparently exhausting his strength or wasting vital energy. It has been stated with truth that the pen is mightier than the sword, and when the right kind of brain guides the pen or pencil, we certainly have an exemplification of this wise saying. While the sword destroys and separates, the pen unites various classes of the community, and great is the responsi­bility of the person who is able to wield his pen with force and intelligence on behalf of the masses. As will be seen in Mr. Davenport's pictures, his brain is about equally dis­tributed between his forehead, which is broad and comprehensive, and his long posterior lobe. The former indicates intellectual grasp of mind, from a common-sense point of view, while the latter shows large Philoprogenitiveness, or love of animals, and no one who has seen his beautiful collection of animals on hie New Jersey farm will doubt his attachment and appreciation for them. Uniting, as he does, a large framework with healthy vital organs, he is able to use his brain to a much better advantage than as if he were limited in bodily structure and physical form. His brain calls for a large supply of oxygen, to nourish it and keep it in a healthy condition. This he can do without much effort, for he delights in outdoor exercise, and his Motive Temperament seeks activity of a varied character. He lives largely in his practical, sci­entific mind, which registers ideas and observations, and philosophises about things when there is a particular call to do so, but he is more generally governed by his keen observations than by his desire to scheme and plan out things in a vague way. He is a man of action and a student of human nature, and this is to be seen from the height of the forehead at the point where the hair falls back, above the temples, and over the top of the head. Versatility of mind is one of his finest characteristics, and he can adjust him­self to so many phases of work that if he is interrupted from carrying out the line of thought with which he has commenced the day, he can go back to it and complete his task from where he left off. Many men wear out when called upon to do work under the heat and pressure of daily tasks, but Mr. Davenport is able to crowd a good deal of effort into a short space of time. One cannot correctly judge of a man's work by the time he puts into it, for some men work at high pressure, some at low, and often the former accomplish more than the latter, though they may be less hours in doing their work. From the crown of the head we gather that Mr. Davenport possesses a very independent spirit, as well as an ambitious character, but he is not dig­nified in manner, artificial in his ways, or aristocratic in his ideas. He believes in giving every one fair play, and opportunity to use his or her talents, rather than to hold the latter for a few select ones. Personal pride does not enter into his thought so much as ambition to excel in what he undertakes to do. He would rather have a person appreciate his motive for action than to be complimented or flattered in a popular way. Zeal and enthusiasm are strong characteristics of his, and he certainly shows them when working out his plane. Men show their energies in accord­ance with their most salient characteristics; thus Mr. Davenport's energy shows itself (1} through his perceptive faculties, (2) through his ingenious qualities and constructive ability, (3) through his individuality of mind and originality of talent. Breadth across the temples gives him power to conceive new ideas, build up and create new possibilities, and capacity to grapple with a new situation. An idea is never lost upon him, for he is able to work it out in many ways. . His is not a perfectly symmetrical head, and it is not usual for any specialist to possess an evenly balanced contour of head. A man who is gifted in certain directions very seldom shows evenness of mind and character in all things alike. He is almost sure to have some angles, defects, shortcomings, and weaknesses. The round, even head is not the one that achieves the highest mark of excellence in any one direction, though people possessing such a head are easy to get along with, and are not, as a rule, buffeted about by the antagonisms, the jealousies, and ridicule of the world. The originality of mind in Mr. Davenport shows itself through his imitative, ingenious, and adaptable talent, as well as through his keen sense of wit, courage of conviction, and power of criticism. Memory of forms and outlines is a remarkable gift with him, and anything that has struck his eye as peculiar or uncommon he is able to carry with him and reproduce when a favorable occasion arises. Economy of time and labor are easier to him than economy in ordinary financial affairs. He would make a better financier for someone else than for himself. He cares less for money for its own sake than what it can be applied to. From his mother he must have in­herited his strong sympathetic nature, and it is hard for him to turn a deaf ear to those who appeal to him for help and assistance. This element in his na­ture enables him to get in touch with all classes of people, while his Human Nature reveals to him, in a marvelous way, the undercurrent of character: the motives, molds, and dispositions of the upper and lower strata of life and char­acter. Were he a mechanic or engineer, he would be at the helm, where he could oversee and manage affairs, rather than be where he had to be at the beck and call of others, for his Constructiveness shows originality, and men would want his ideas because of their uniqueness. He could give ideas to the mechanic who had no ideas of his own, yet was able to carry out what he was directed to do. He would have studied the methods of his opposing coun­sel.with so much clearness of insight that, when pleadirrg his case, he would have drawn on his sense of pathos, as well as his sense of humor, in consider­ing every detail of his case. Law, however, would not have suited him as well as his present profession, for there are some phases of a lawyer's work which he would have disliked, especially the waste of time in waiting for the courtesies of the court. When he is ready for work he is like a restive horse which cannot be easily held back by the check-rein. He would rather walk to his destination than wait for a car, for in the one case he would be occupied and in the other case he would be idle and inactive. He is companionable and friendly, and retains a friendship for a lifetime, if at all. In his travels he must have left a congenial spirit wherever he has gone, and thus have shown out his cos­mopolitan spirit. In short, as we have said, he is a resourceful man, and is able to turn his attention to many things, especially to ingenious lines of work, original de­signs, and in public address when ex­pressing what has once impressed his mind, and his excellent power to catch the spirit of a new thought and repro­duce it in a humorous way.